Middle managers ostensibly have something in common with monkeys. “Seriously?” you’re probably thinking. Well, research has drawn a possible link between the stress of certain monkeys and that suffered by middle managers – both have high anxiety from pressures brought by others – above and below them. This is according a report by the universities and Liverpool and Manchester in England. “People working in middle management might have higher levels of stress hormones compared to their boss at the top or the workers they manage,” says lead author Katie Edwards of the University of Liverpool. “These ambitious mid-ranking people may want to access the higher-ranking lifestyle which could mean facing more challenges, whilst also having to maintain their authority over lower-ranking workers,” Dr. Edwards explains. The 2013 study shows monkeys in the middle of their social pecking order suffer the most stress. The reason is social conflict from higher and lower levels in the hierarchy. Hence, the researchers draw a comparison with mid-level managers. The researcher at Liverpool’s Institute of Integrative Biology spent nearly 600 hours watching female Barbary macaques at Trentham Monkey Forest in Staffordshire, according to a press release. Her research involved monitoring a single female over one day, recording all incidences of social behavior. These included antagonistic behavior like threats, chases and slaps, submissive behavior like displacing, screaming, grimacing and hind-quarter presentation and behavior such as teeth chatter, embracing and grooming. Social hierarchy was the reason. 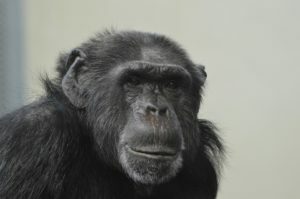 “What we found was that monkeys in the middle of the hierarchy are involved with conflict from those below them as well as from above, whereas those in the bottom of the hierarchy distance themselves from conflict,” says Dr. Susanne Shultz, a Royal Society University Research Fellow in the Faculty of Life Sciences at The University of Manchester, who oversaw the study. “The middle ranking macaques are more likely to challenge, and be challenged by, those higher on the social ladder,” adds Dr. Shultz. From the Coach’s Corner, so, if you’re a mid-level manager, all of this probably sounds familiar. Got an Abusive Boss? Here’s How to Deal with Harassment — Organizational performance is strong when employees are managed properly. In turn, employees perform well and they are confident in their employers. So it was disturbing when someone asked me what to do about an abusive boss. Here’s how to win over an abusive boss.